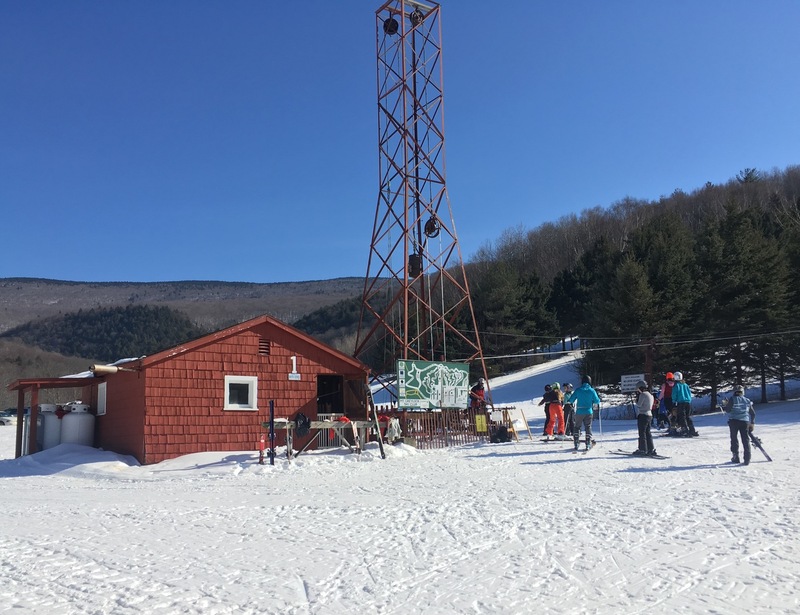 Mount Greylock Ski Club is a small members-only ski area located on the flank of the tallest mountain in Massachusetts. Established in the 1930s, the club has no electricity, plumbing or telephone. It also has no snowmaking and no chairlifts and two rope tows. In most meaningful ways it’s no different then when it was established during the Great Depression. 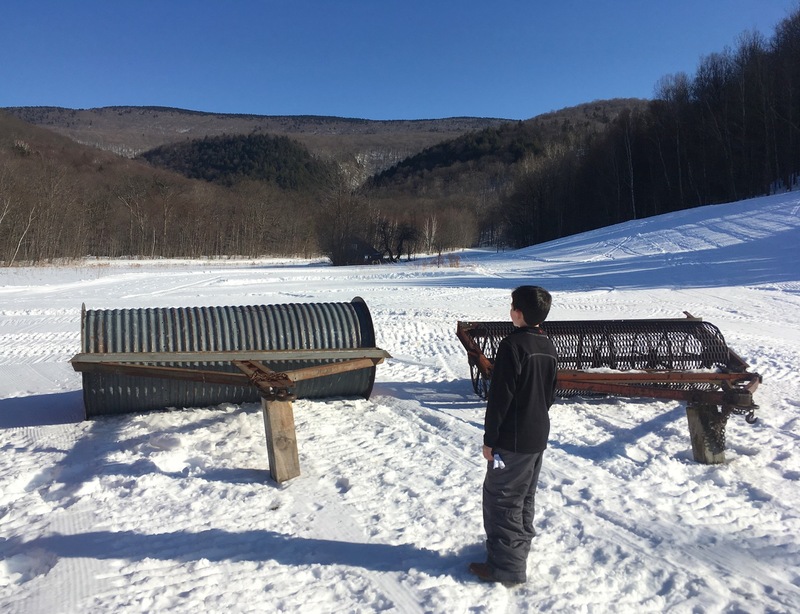 I learned of the place a few years ago though NELSAP, the New England Lost Ski Area Project. I was surprised that the rustic little place had escaped my attention because I learned to ski just a few miles away. Once I learned about Mount Greylock, I knew I would have to check it out. Recently I sent an email, to see if I could set up a visit. It was somewhat accidental that my sons and I visited the club on President’s Day weekend but it turned out to be perfect timing. As I drove past my very first home mountain, Jiminy Peak, I could see that the overflow parking was already filling up. I was happy to take a different approach to the holiday weekend. The last section of the road, before you reach the club, is narrow and, when the club is open for skiing, it is one-way. In the morning, it’s one-way up and after 2:30, it’s one-way down. Simple. We arrived about five minutes before opening. The only people there were a few ski patrollers and club officers. After introductions, we signed the guest book and waivers and went out to Rope Tow One for an instructional on the use of the lift. 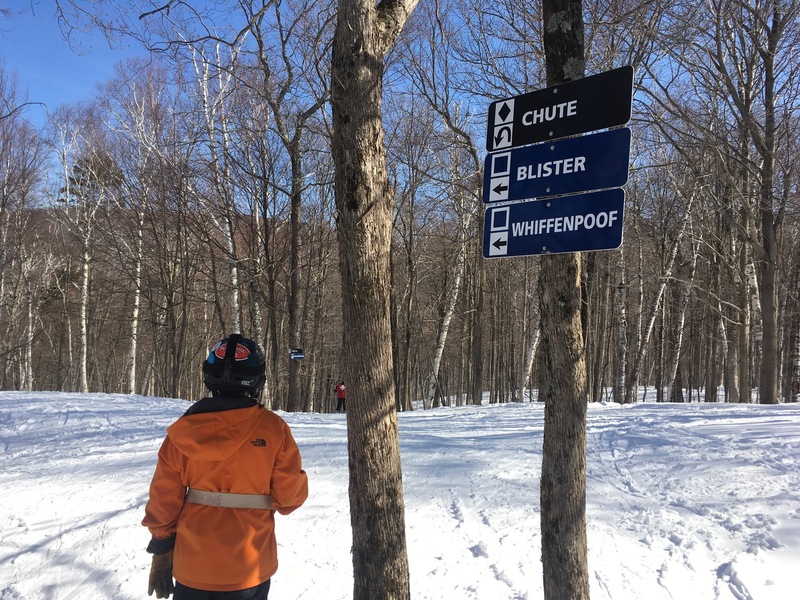 The Bosquet Tow Gripper — a hinged metal device that resembles a nut cracker or a lemon squeezer with a short rope — attaches to a belt around the skiers waist. 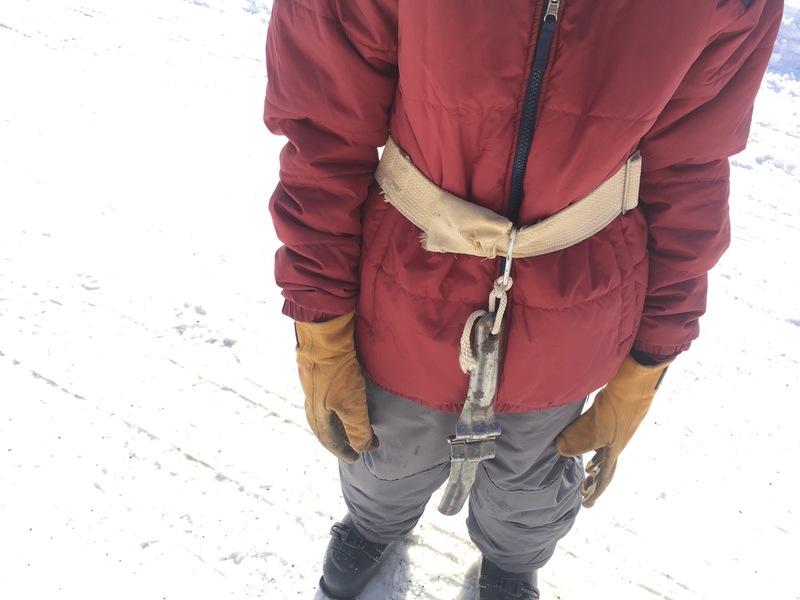 The idea is to flip the gripper over the rope tow rope and then squeeze it shut so that the belt holds your weight as you go up instead of your arms. On a wall inside the base lodge hang a large number of grippers. The old canvas belts had names written on them as each original club members each had their own. I got a belt which used to belong to a guy named Rowland. Patrol explained how to use the belt and Junior declared he would be skiing without poles that day. I guess he counted how many hands he would need and came up short. I had already decided that I liked the idea of the club and wanted to join. I wondered if my sons could handle the longest, fastest rope tow in New England. To find out I had Junior go first, my ten year old next, and me bringing up the rear. They launched successfully and I grabbed the rope and rocketed up behind them. The rope tow was faster then any surface lift I’d been on before. Getting the gripper attached to the rope wasn’t all that hard, but doing it one handed was beyond me at first. I was able to extend one finger from the hand holding onto the rope in order to flip the gripper over the rope. It’s important to remember that you are supposed to sit back so the belt takes your weight. Riding it was exciting and tiring. At the top of the first ride, my ten year old told me he hadn’t been able to work the gripper so he just held on with both hands. Good enough; he had something to work on next time. The skiing experience at Mount Greylock Ski Club was pretty cool too. I was hoping for a powder day, but a group of college kids had tracked the place up the day before. 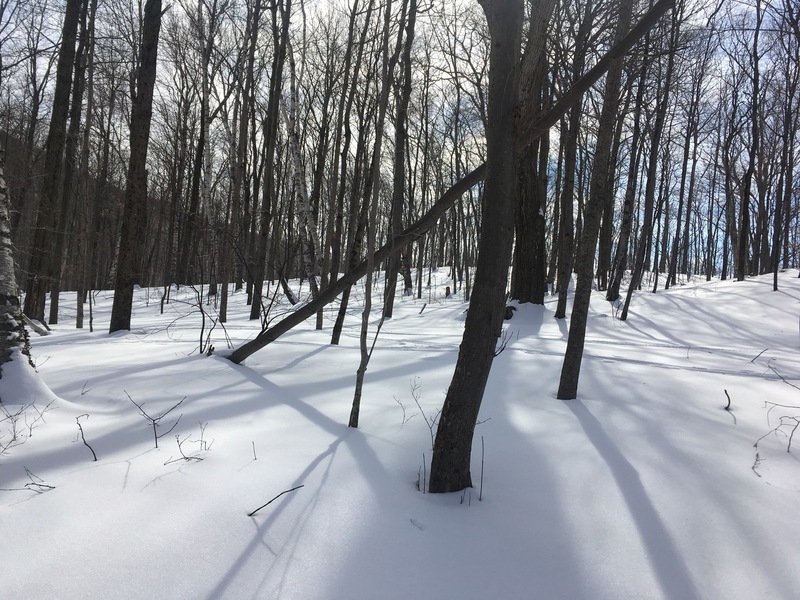 There were stashes in the woods, but as the temps climbed into the forties the snow became sticky, making the untracked stuff tougher to ski. The trails are narrow and winding at the top, emptying into a wide open learning area near the bottom. The straight-down-the-fall-line runs on either side of the rope tow have a few steeper pitches. There wasn’t anything that hard, but it was all fun. After a couple hours my boys took a lunch break. It was so warm I let them set up on the tailgate of our truck so they could watch the skiing as they ate. 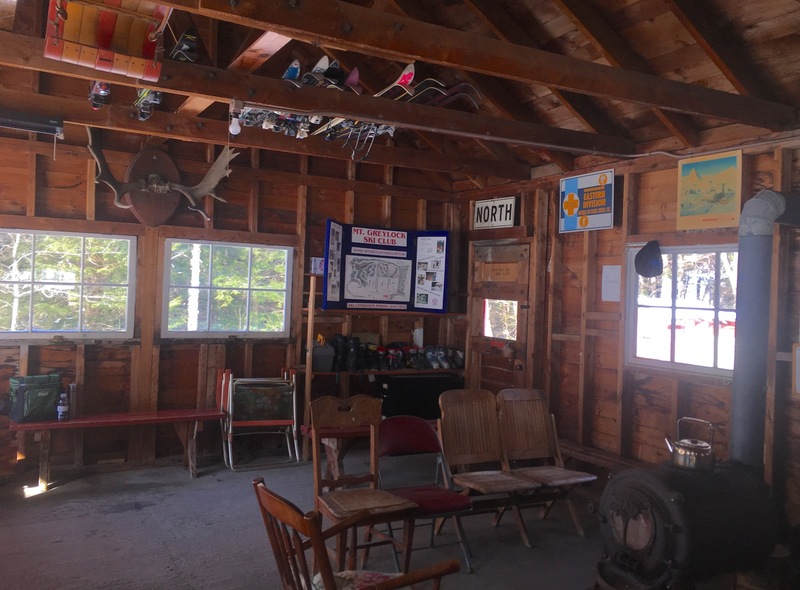 The club’s base lodge is heated by a couple of wood stoves but there is no food service so you bring your own. I kept skiing, eager to explore more. 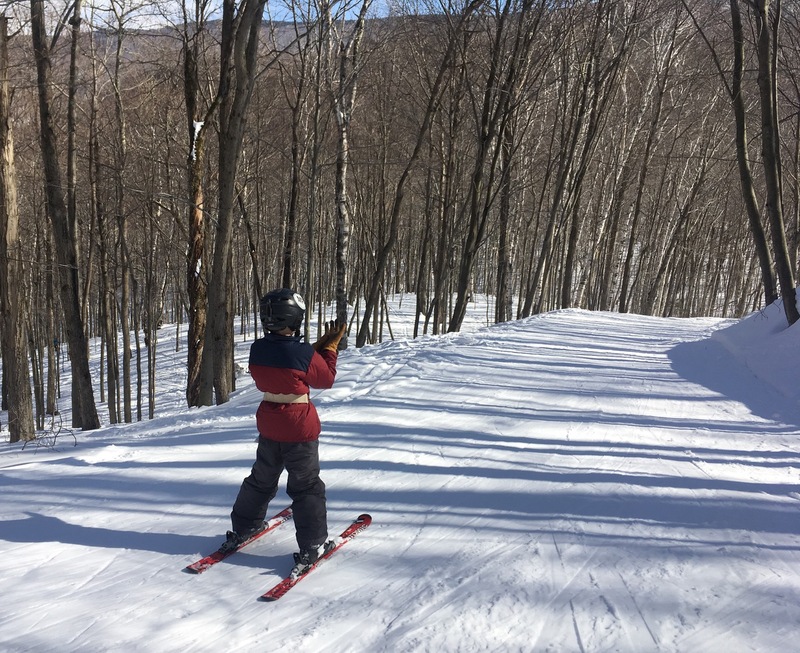 Though it’s small, the Mount Greylock Ski Club has good skiing, especially in the woods. Almost everything between the named trails has been thinned out. I could tell that it would be a lot of fun on a powder day. After lunch my boys came back out and we skied a couple more hours. Soon they were tired and more interested in playing hide and seek and throwing snowballs at each other. There were no lift lines to speak of so it was ski-on all day long, hot laps on Rope Tow One. By two, my legs were as tired as my arms were from the rope tow. We were ready to go by three. 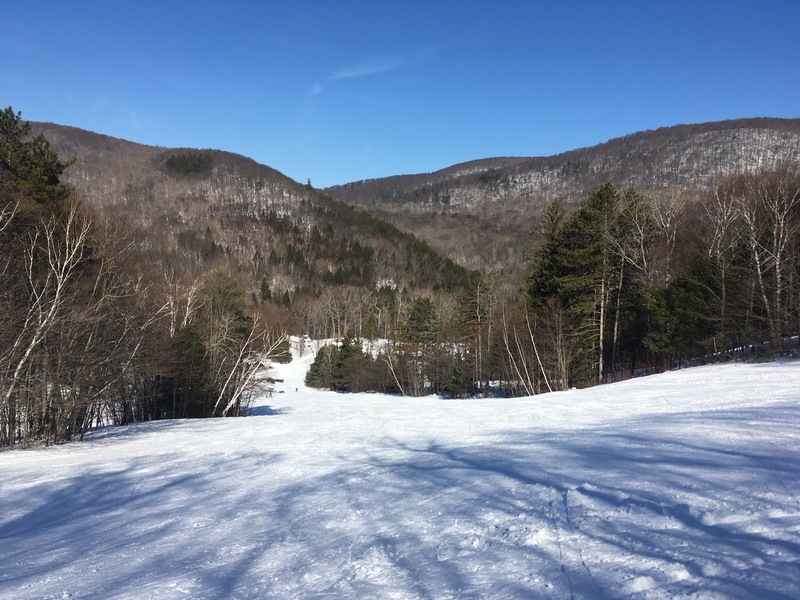 At a place like this, you expect a cool vibe and Mount Greylock delivered in spades. Everybody was friendly and generous with their knowledge. Before leaving I peeked at the sign-in book. While most resorts were dealing with big holiday crowds we were skiing with maybe sixty people. The club has just under two hundred twenty members now, that’s soon to grow by three. We will be back. Cool story. Do you know what the vertical of the place is and how long the rope tow is? If the place has no electricity, what is powering the rope tows? Must be gas or diesel. i believe it’s gas, not sure but definitely gas or diesel. The tow is about 1700 feet long. Don’t remember the vert but it’s not a big number, feeder hill size for sure. It’s on their website someplace. It skis like a bigger mountain though because it speaks out to both sides and there’s lots of trees to explore, especially skiers right. Looks great. I’m guessing this is on another portion of the mountain apart from the Thunderbolt? I think it does go to show how big the mountain actually is. Unlike most feeder hills or pasture operations, this is a small portion of greylock. I’m sure if I lived out west maybe I would sneer too about the size, but I think greylock has 2500+ vert easy though it’s been years since I have hiked it. Yes. ML is correct. There’s another CCC trail called the Stony Ledge Trail which is accessible from the club but it gets a lot less attention then the Thunderbolt. I haven’t skied it but I understand it is still doable when there’s enough snow. This place calls to me. And I’m a local, born in North Adams. Thanks for the very positive review of MGSC! I am the membership secretary and have been a member for 30+ years and my husband learned to ski at MGSC. We taught our kids to ski there.It’s a great place for families. If any one is interested in joining the club for the 2017-18 season please email me for a form. Thanks very much, Ilona. You know, I still need to send one in myself.